Meet with fellow food enthusiasts and put a cookbook to the test! Sample a few recipes from the selected cookbook and review your results with the group. 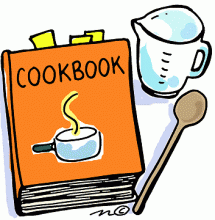 Cookbook selection for May is "Debbie Macomber's Table".